The Dormeuse, or French Night Cap, was especially popular in the 1770's. 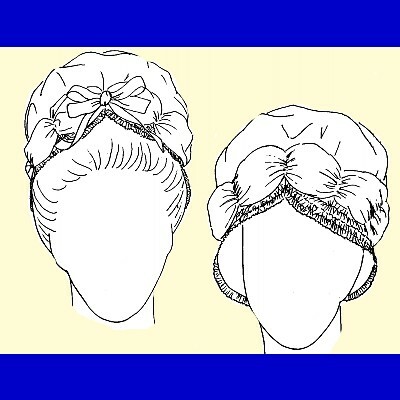 This style was also referred to as a baigneuse, or bathing cap. The crown of the cap fits loosely over the head, with rounded wings or ears framing the face. The night cap may be worn close to the face over a natural head, or away from the face covering a high coiffure. This cap is designed to be trimmed with two rows of ruching over the ears, a band of pouffing around the crown, and a ribbon bow at center front. 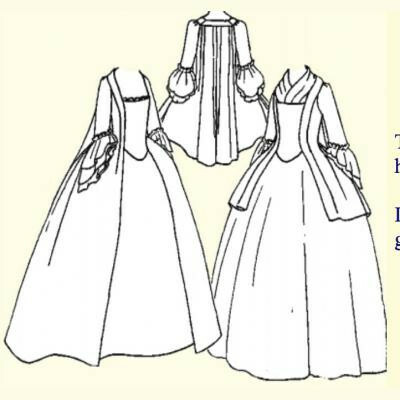 The dormeuse, like the English night gown, was intended to be worn during the day. 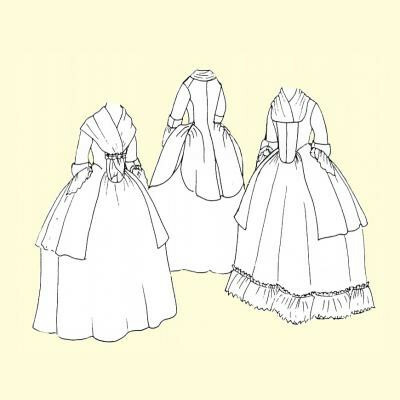 Generally, 1770's undress, or informal, caps were large while dress, or formal, caps were small. The styles and materials were often the same. This original cap pattern is based primarily on caps illustrated in The West Family, c.1772, and The Six Children of George III, 1776 by Benjamin West. Similarly styled caps may be seen in Fashion Plate #51, 1778, Galerie des Modes; and the French engravings Le Lever and Le Bain, 1774, A. Romanet, Sculpt., in the designer's collection.